I know that amylose and amylopectin are major constituents of starch. I also know the chemical structures of amylose and amylopectin. However, I want to determine how amylose and amylopectin bond together. I think that the OH from the amylose bonds with the HO of the amylopectin to form an oxygen bond and a water. Am I correct, or does the OH chain of amylose bond with the O chain of amylopectin? 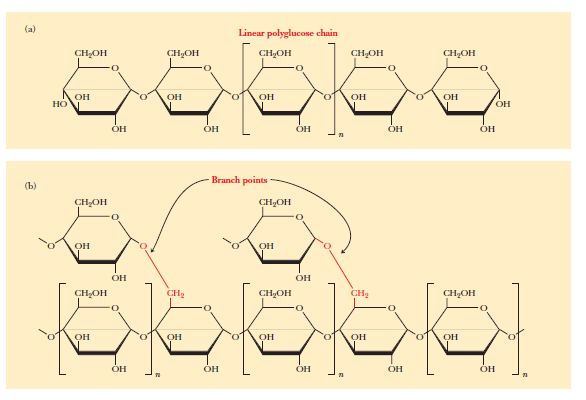 Glycosidic bonds between monosaccharide units are the basis for the formation of oligosaccharides and polysaccharides such as starch. It is possible for a sugar hydroxyl group (ROH) bonded to the anomeric carbon (the anomeric carbon is the carbonyl carbon of the open chain form of the sugar and is the one that becomes a chiral centre in the cyclic form) to react with another hydroxyl (R’-OH) to form a glycosidic linkage (R’-OR). 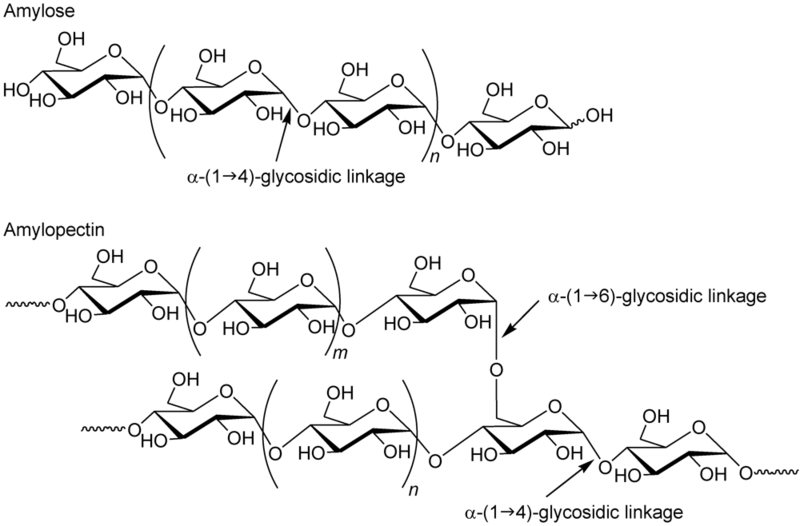 Glycosidic linkages can take various forms; the anomeric of one sugar can be bonded to any one of the -OH groups on a second sugar to form an alpha- (as in starch) or beta-glycosidic linkage. 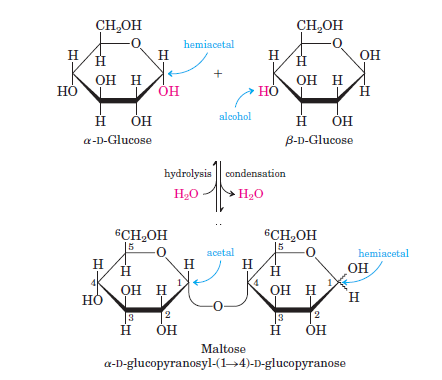 C-1 of one glucose is linked by a glycosidic bond to the C-4 oxygen of the other glucose when an ⎯OH (alcohol) of one glucose molecule (right) condenses with the intramolecular hemiacetal of the other glucose molecule (left), with elimination of H2O and formation of a glycosidic bond. I am sure you now have a clue on how they are bonded. Hope this helps. What is the timescale of disulfide bond formation? Can I break starch down into glucose units? Why is the formation of double helix between non complementary sequences disfavoured? How do thiol groups act as reducing agents? Why do α-amino acids have a C-H bond at the α-carbon? Why can't amylase digest glycogen?